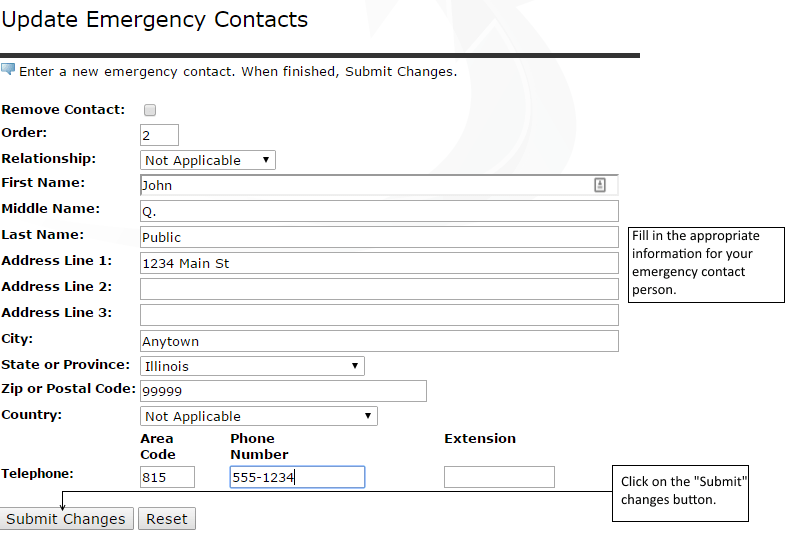 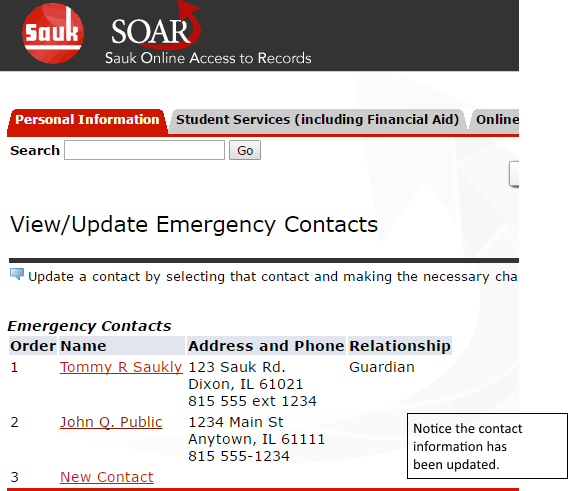 Click on the "View/Update Emergency Contacts" link. 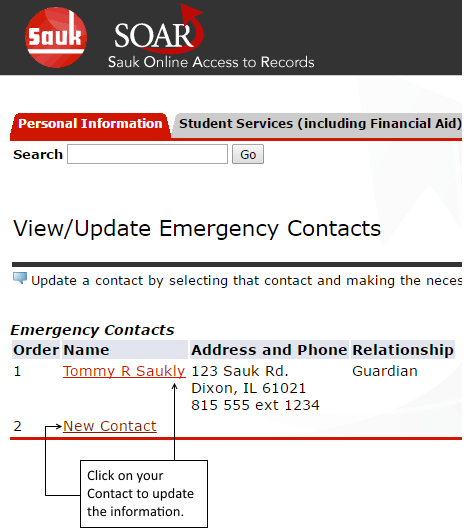 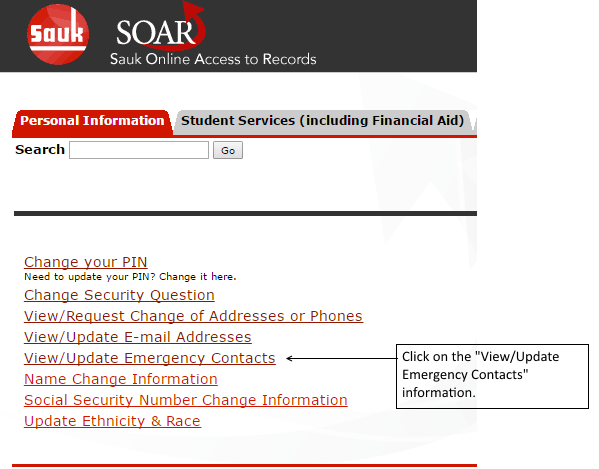 Click on the "New Contact" link or your Existing Contact link. 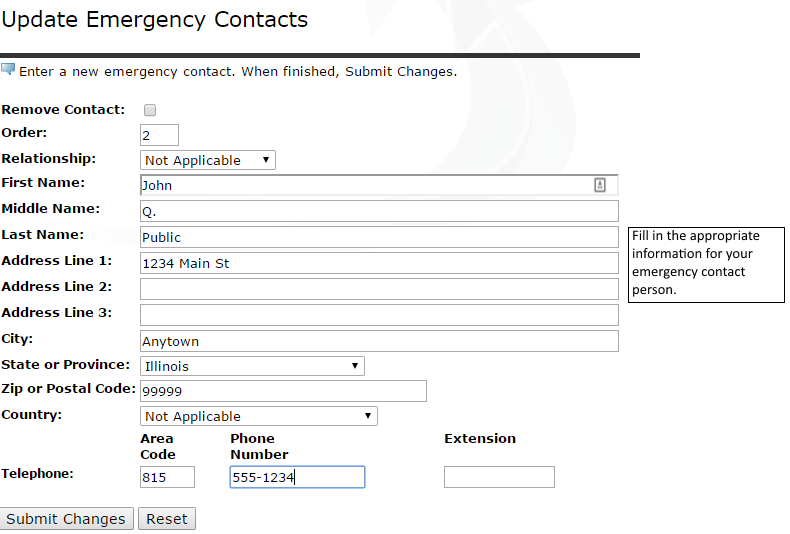 Enter in or update the information for your emergency contact. 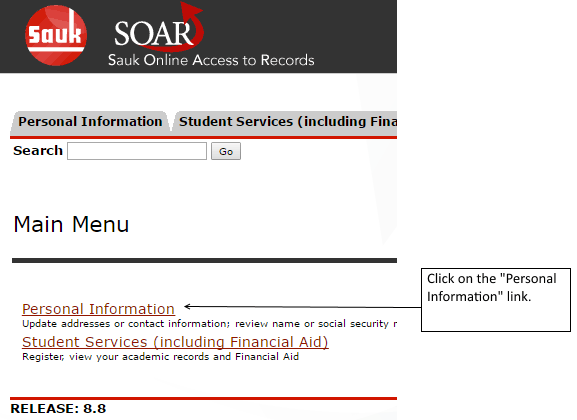 Your updated information will be displayed on the next page.